I’m beyond excited to share this post on Spencer’s For Steaks & Chops today because it’s undoubtedly my new favorite steakhouse in Salt Lake City. Spencer’s is located in the Hilton downtown, just off of 2nd south and West Temple and is situated in a beautiful space with tasteful decor. 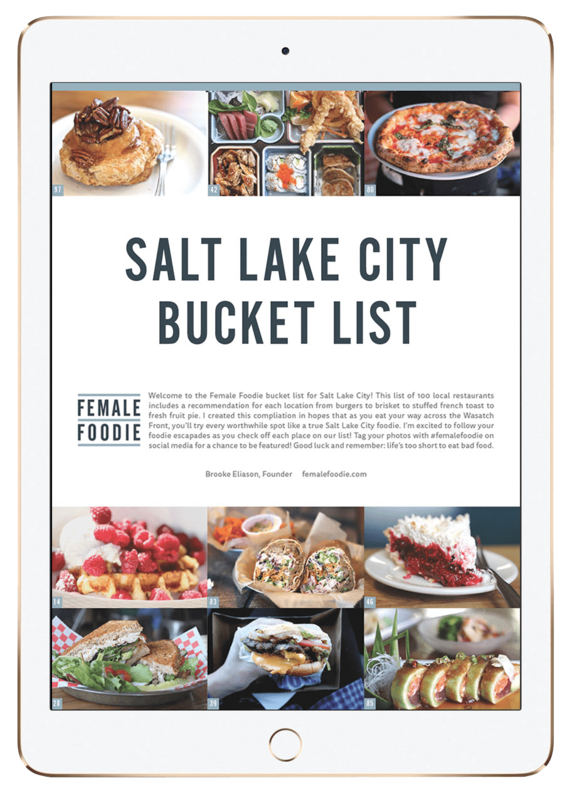 They’re the original prime rib steakhouse in Salt Lake City and boast a menu featuring the top 2% of prime rib black angus beef. They serve thick, hand trimmed cuts, aged for 21 days for tenderness. With recent changes to their menu this spring and a Texas born-and-bread, steak loving husband, we dressed for the occasion and decided to see what all the fuss was about. 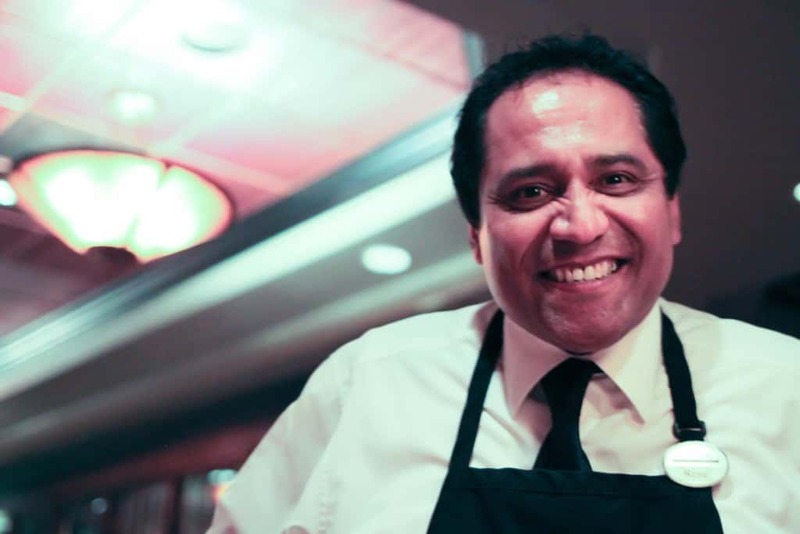 Execute Chef Michael Pleines is a certified butcher from the east coast and not only cuts all the meat in house, but also enjoys preparing seafood items from mussels to calamari to their delectable Chilean sea bass. The newly revamped dinner menu includes the newly added Wagyu strips and fillets in addition to the classic prime rib cuts. I’ll now take you through some of our favorite menu items we enjoyed between two separate evenings at Spencer’s. When you begin your meal at Spencer’s, be sure to order their charcuterie board, which is one of the best I’ve had in the Salt Lake Valley. The majority of the charcuterie is prepared in house and served with local cheeses and vegetables. 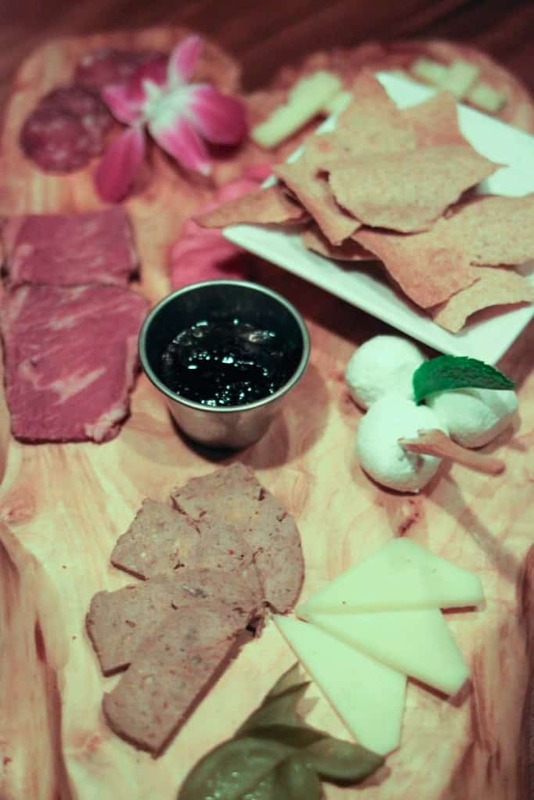 This charcuterie board was comprised of cumin cheddar, spreadable goat cheese with blueberry compote, peppercorn gouda, pickled vegetables, Creminelli wild boar salami, bresaola smoked cured beef, and steak house sausage. 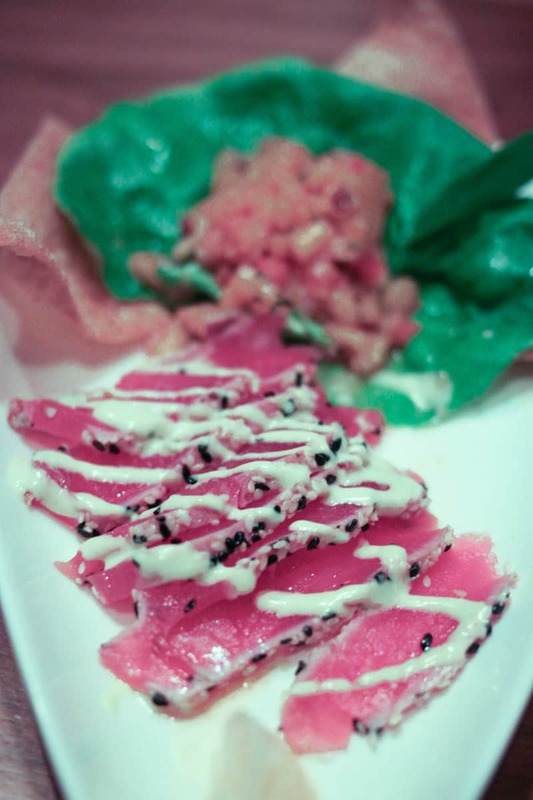 Also new to the menu at Spencer’s is the ahi tuna appetizer. It’s sesame encrusted and served with fresh mango pineapple salsa, citrus wasabi cream, and flavorful fried wontons. A beautifully composed dish with a nice, light aftertaste- an excellent preface to the rich and bold dishes to come. 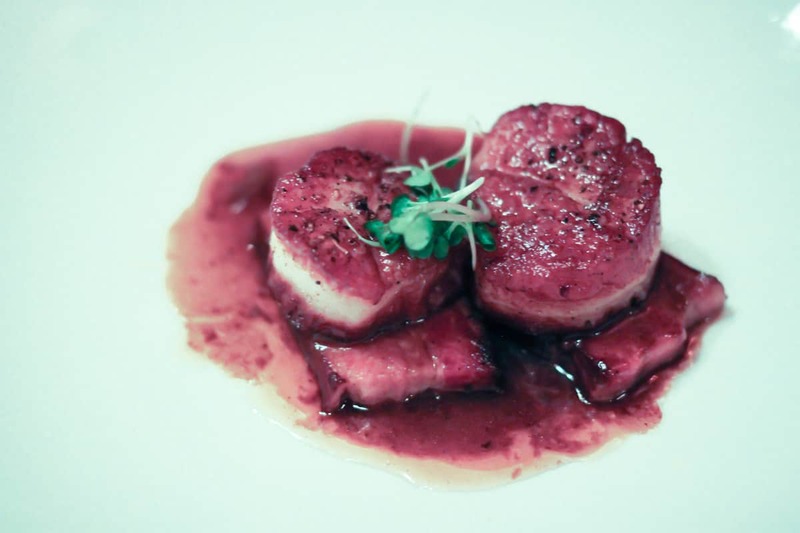 Our absolute favorite appetizer, however, was the scallops with braised bacon. These melt in your mouth scallops were the best we have ever had. Add that to bacon and a chipotle demi glace for the appetizer of the century. Next time we’ll order extra. Spencer’s does the simple things well too, including the 50/50 Caesar salad. 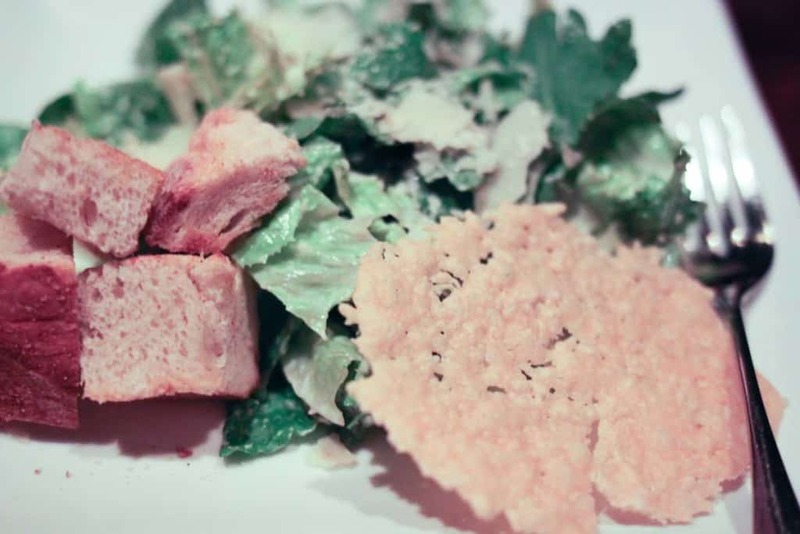 This Caesar has a light crunch and delectable flavor from the house made dressing, topped with the torn croutons and house-made cheese crisps. There is only one way to do French onion soup correctly, and Spencer’s has mastered that art. 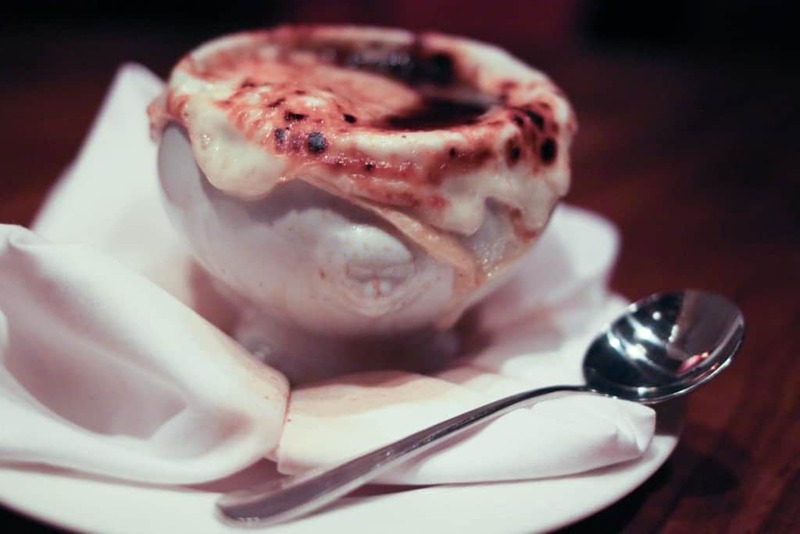 The broth filled with slowly cooked, caramelized onions, topped with house made bread and toasted mozzarella and gruyere. A delicious hot and bubbly soup for a brisk spring evening. 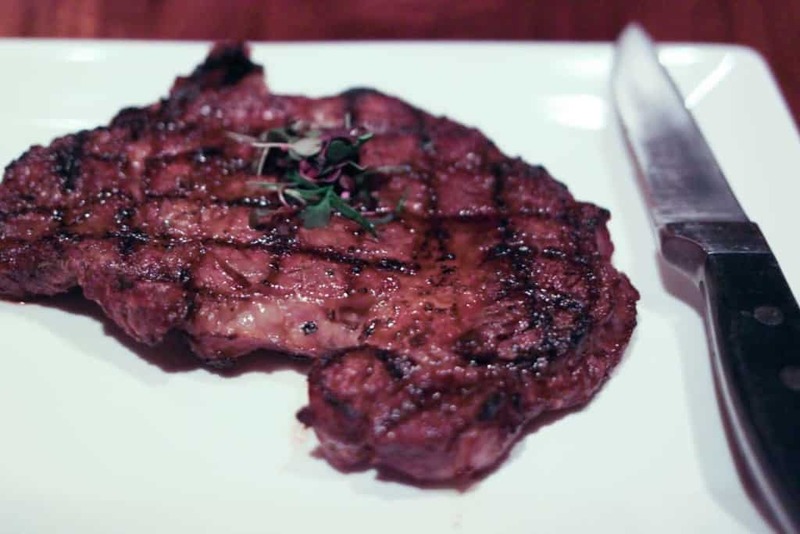 For those looking for a more traditional steakhouse option, try the 10 oz. filet mignon. As mentioned previously, my significant other a Texan through and through and knows a good cut of meat when he sees it. 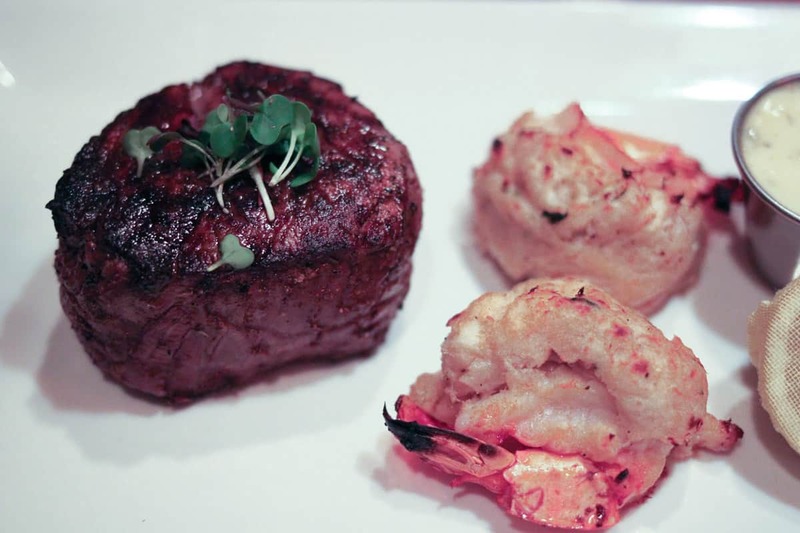 This filet mignon is impressively juicy and tender. 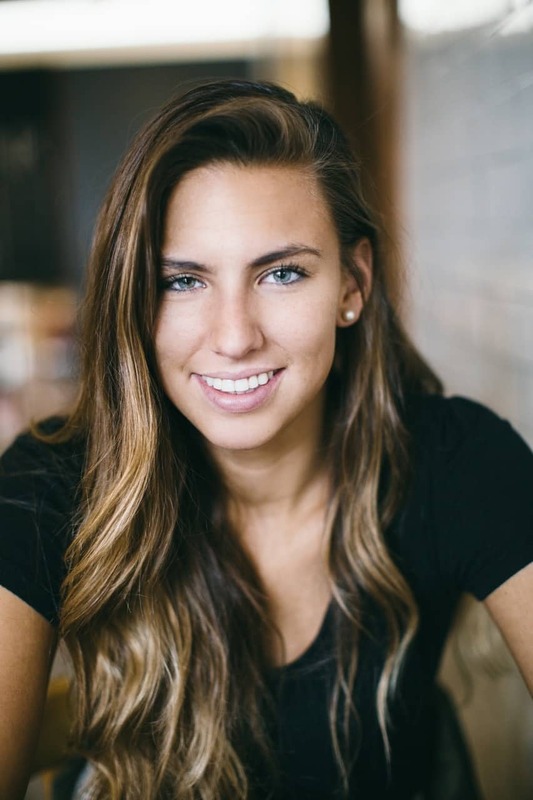 A no-fail option for those looking to try something bold yet conventional. We tried the crabmeat stuff shrimp on the side to create a “surf ‘n turf” entree providing more flavor and texture variety, and a delicious compliment to this hearty cut. When you visit Spencer’s don’t forget to take a glance at their list of accompaniments at the bottom of the dinner menu. 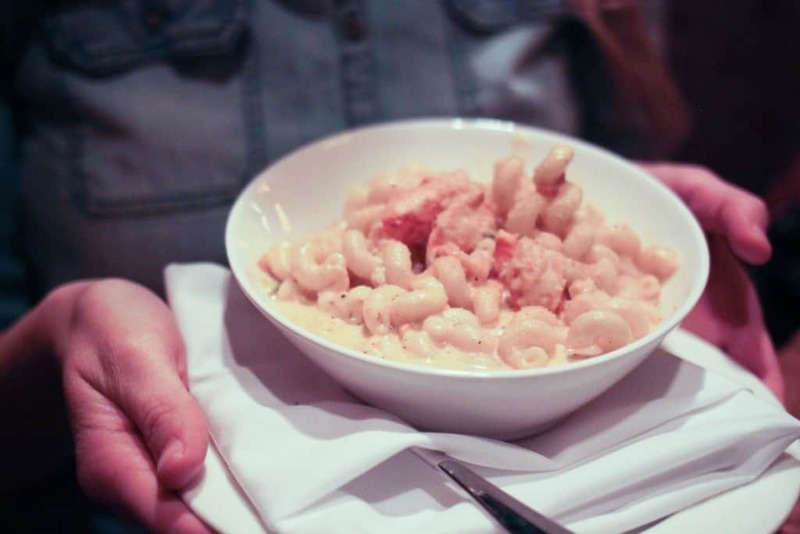 We took our server’s recommendation and enjoyed the mac & cheese with lobster. Can you say decadent? It was rich, creamy, and a great addition to our flawless meal. One of the more hallmark dishes you can order here- the Spencer’s Ribeye. A 14 oz. USDA prime rib boneless rib-eye. A classic menu item at Salt Lake City’s oldest steakhouse. Prepared delicately and served warm with incredible flavor and intensity. 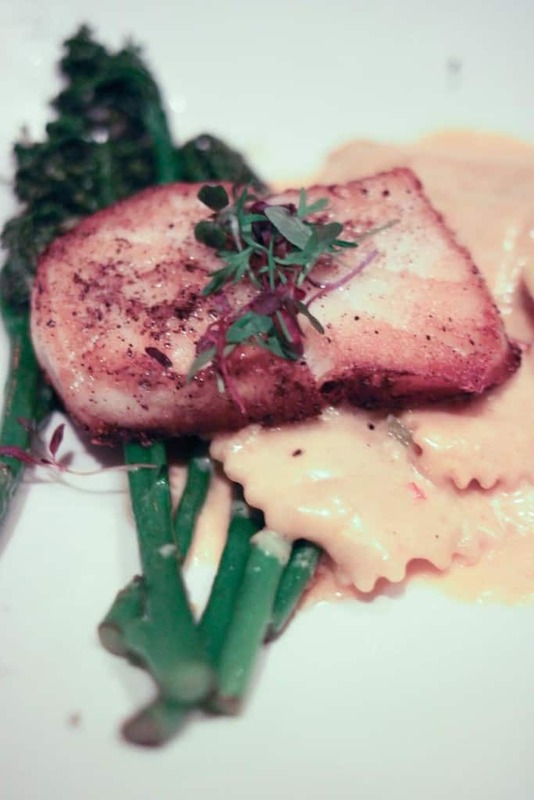 Finally, the beautiful and delectable Chilean sea bass. This dish is unparalleled by any other I’ve had in Salt Lake City and is, in my opinion, one of the best at Spencer’s. 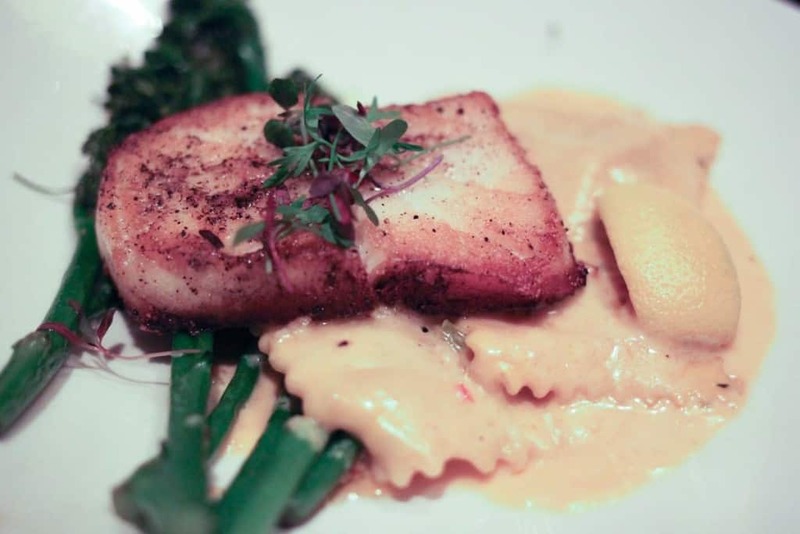 The sea bass is truly melt in your mouth- slightly crispy on the outside, fall apart on the inside, and served atop lobster ravioli with a lobster cream sauce. It’s not for the faint of heart and will send you to the moon with its creamy, sinful textures and flavor. If you aren’t interested in steak at Spencer’s or want to venture over to their “Seafood and More” portion on the menu, this is your best bet. Aside from all the incredible food, the staff at Spencer’s is world class. 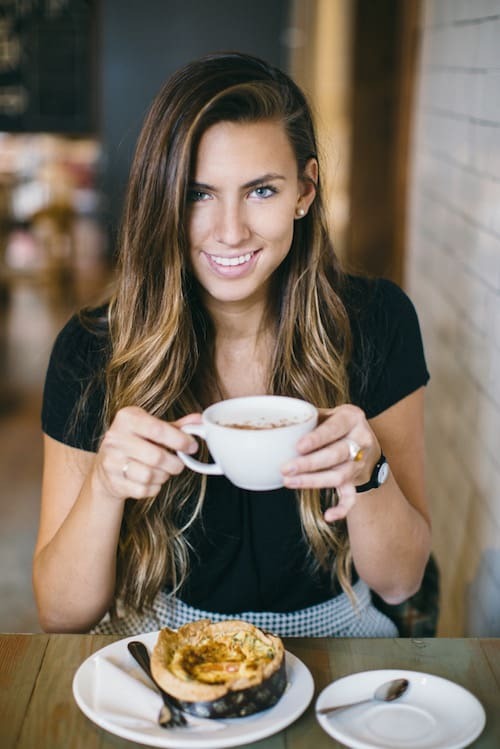 They are genuine, kind, and thoughtful individuals- loyal to Spencer’s and its mission to provide an exceptional dining experience to residents and visitors of Salt Lake City. Thank you for your incredible recommendations and education, Kevin. Thank you for your promptness and humor, Rene. And thank you for friendship and hospitality, Jeremy. 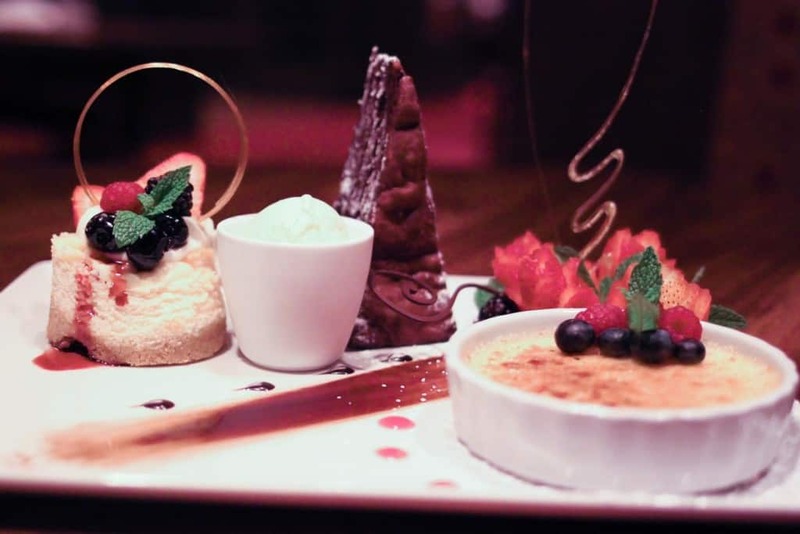 What is a night at Salt Lake’s best steakhouse without dessert? We didn’t want to miss a beat and were able to try the house made cheese cake, ice cream, creme brûlée, and naughty cake. Yes, that chocolate stack of decadence is a long-time Spencer’s menu item and was our personal favorite among all of the delicious options. Thank you, Spencer’s for your premier fine dining experience in Salt Lake City. We cannot wait to come back.